One of the really cool formatting features of Excel is that you can actually set a picture from your computer as the background for any Excel worksheet. You can change the background of a worksheet to fit the theme of the data being presented or of the workbook as well as to simply spruce up the look and feel of the spreadsheet. 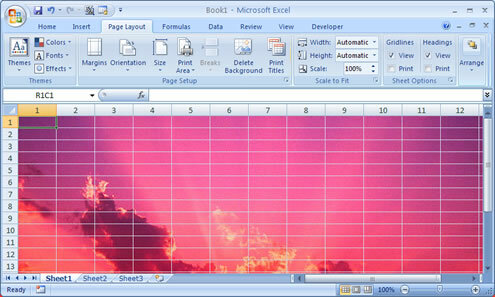 Gone are boring and monotonous backgrounds when you set images as backgrounds for Excel spreadsheets. Select a photo or image from your computer and then hit "OK." Now the selected image will be set as the background for the Excel spreadsheet.